On 7 May 2015 near 7:35 UT, the Catalina Sky Survey (MPC 703) in Arizona detected a bright mag. +17 fast moving object moving at about 12"/minute through Virgo. 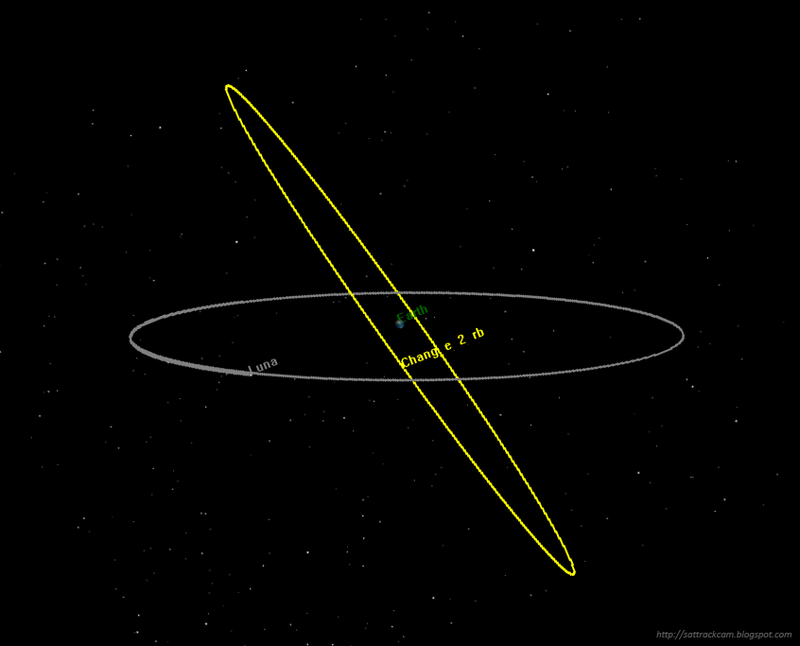 The object was reported as a potential Near Earth Asteroid and entered the NEO Confirmation Page (NEOCP) of the IAU's Minor Planet Center with temporary NEOCP designation WJ297AD. 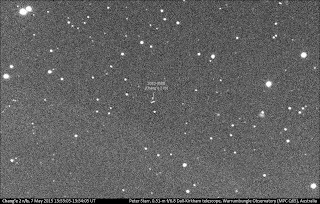 Some 6 hours later, Peter Starr at Warrumbungle Observatory (MPC Q65) in Australia targetted the object with his 0.51-m Dall-Kirkham telescope, in order to confirm it and obtain more positions. As he often does with NEOCP objects he images, Peter sent the imagery to me for astrometric processing. After I measured the images (a part of one is shown above, showing the object as a short trail amidst the stars) and tried to fit an orbit to the astrometry obtained from Peter's images and the Catalina Sky Survey observations, the result was odd. FindOrb suggested that this object was in orbit around the Earth, in a trans-lunar orbit with perigeum at 352 666 +/- 426 km, apogeum at 552 356 +/- 934 km, an orbital inclination of 41 degrees and an orbital period around the Earth of 35 days! 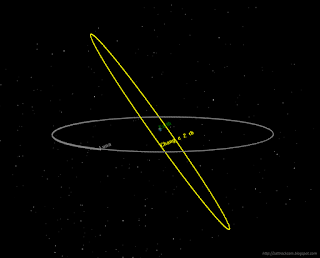 The MPC itself, fitting several preliminary orbits, also presented solutions pointing to an object in an odd, very earth-like orbit with semi-major axis about 1.05 AU and a heliocentric orbital period of ~1.0 year. At that time, after an initial "Huh? That's odd..." I already developed some feeling that this might perhaps be an artificial object, if this fit was not spurious. 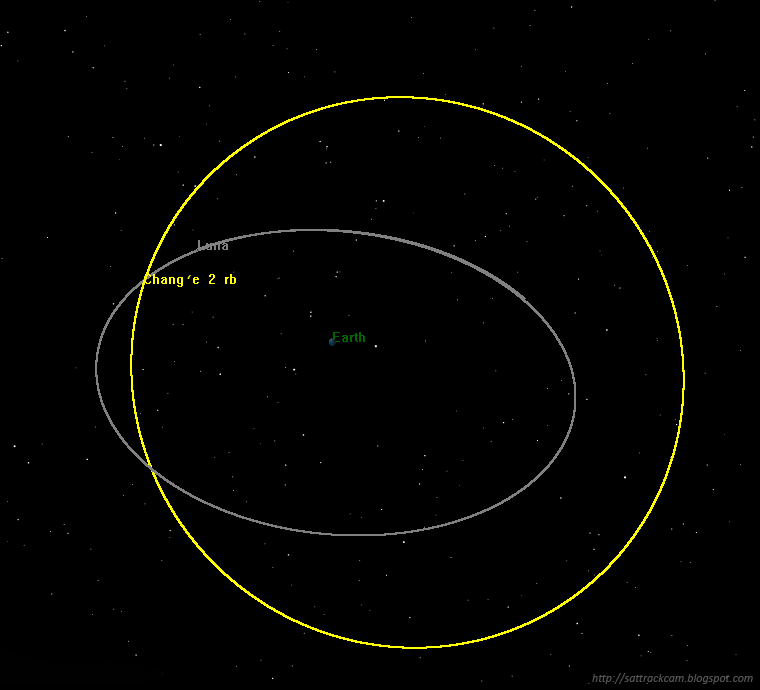 I was not sure though (preliminary orbit fits to small observational arcs can come out weird on occasion), so I sent Peter an e-mail mentioning that it was a "weird object that seems to be in a very Earth-like orbit". 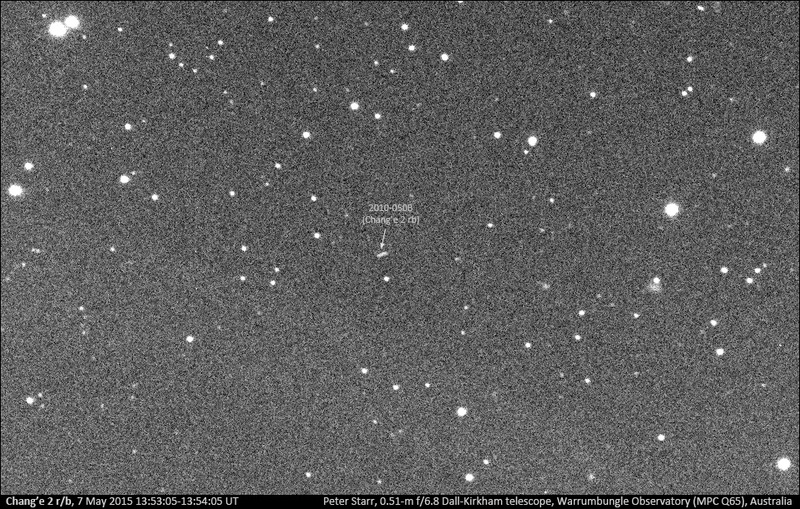 Meanwhile, another asteroid observer, Jacques Cristovao, also thought that this NEOCP object was odd. Around the time Peter was doing his observations from Warrumbungle, Cristovao suggested in a message on the Minor Planet Mailing List that the object was artificial, and specifically was 2010-050B, the upper stage of the Chinese Chang'e 2 Lunar probe. That turned out to be correct: WJ297AD indeed is the rocket stage from this launch. This rocket stage moves in a very wide translunar orbit with perigeum close to one lunar distance, and apogeum at almost twice the Earth-Moon distance. At the time of the observations it was near apogee at a distance of about 535 500 km, well beyond the moon at almost twice the Earth-Moon distance. The rocket stage was used to bring the second Chinese Lunar mission, Chang'e 2, into a temporary orbit around the moon. 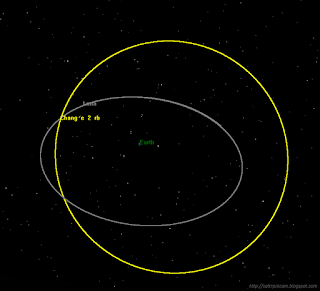 Chang'e 2 itself later left the Earth-Moon system for a journey to asteroid Toutatis, but the rocket stage it left behind is still in orbit around the Earth-Moon barycenter. It was not the first time that the Chang'e 2 rocket was initially confused with a Near Earth Asteroid. The same happened in 2013 when the rocket was briefly known as 'asteroid' 2013 QW1.